Dave Asprey is the founder of Bulletproof 360 which you’ve likely heard due to its well-known, Keto-inducing concoction Bulletproof Coffee. Known as the “Father of Biohacking,” Dave has experimented on himself for more than 20 years and was one of the earliest proponents of following a ketogenic diet. Recently, Dave hosted ButcherBox founder Mike Salguero on his podcast, Bulletproof Radio. You can check out the entire podcast here. We also had the opportunity to interview Dave as he prepares to launch his new book, Game Changers: What Leaders, Innovators, and Mavericks Do to Win at Life. The opinions expressed in our discussion are Dave’s own and are based on decades of research and experience. ButcherBox: Dave, what prompted you to write Game Changers? Dave Asprey: Game Changers was developed over three years and roughly 450 interviews on Bulletproof Radio from some of the most incredibly accomplished leaders, entrepreneurs, experts and high performers in the world. I always wrap up the interviews on the episode with three fundamental questions and I began to see a pattern emerge. So, of course, being a data-driven, computer hacker at heart I did what any coder worth their salt would do — create an algorithm to measure and extract the data. The common thread through line between these extraordinary people surprised me. It wasn’t money, some measure of success, world dominance, or something along those lines. It was way more fundamental. It was health, sleep, family happiness, and mental and emotional balance. So I took an even deeper dive into the data and distilled that word cloud inside of those through lines. From that, I developed 46 Laws that everyone can implement with ease and a high level of success in their lives. And fundamentally that is what biohacking is all about. What can you do in your everyday life to achieve highly efficient and effective results in your day today? Those little things fundamentally and exponentially create massive positive life changes. Just like “Law #26: Don’t Eat Like a Caveman. Eat like Your Grandma,” for example. Eating cleaner and sustainably is something you guys at ButcherBox do so well and that creates a huge positive ripple effect in our community. BB: That is a great segue into talking about one of the essential components of the Bulletproof Diet and Bulletproof Coffee. Why is it important to source grass-fed proteins and dairy? DA: Well, the overall answer is pretty obvious at this point given the great attention the media has given to the effects and practices of Big Food. There is a clear understanding of what sustainable farming benefits have directly and indirectly on our families and our environment. So let’s talk a bit about the science and what I mean by Law #26 – Eat Like Grandma. We all know our grandparents and great-grandparents had access to very different food qualities, even the most basic of ingredients. Let’s start with dairy. When cows are pastured on their natural diet of grass, they produce milk with more healthy fats and fat-soluble vitamins, a better Omega-3 to Omega-6 ratio, and way fewer toxins. There is also the discussion about happier animals and their cortisol levels that affect their yield. In contrast, cows that eat grains, they become sick, malnourished, and weak. This means dairy with fewer nutrients, more Omega-6, and the slippery slope domino effect of farmers needing to introduce added hormones and antibiotics to keep their animals (and livelihood) alive. Grain-fed dairy is also more likely to contain mold and toxins from the moldy grains used as feed. This is a big blind spot that consumers aren’t yet fully aware. It totally matters. Fuel in equals quality out. Those mold toxins accumulate in the animal’s milk, although less present once made into butter. BB: And what about the benefits of the proteins we offer here at ButcherBox? DA: As far as the actual proteins, like those you guys offer at Butcher Box, the answer is simple: Grass-fed beef and sustainable, true organic proteins are not luxury items — it’s real meat. I preach this every single time we talk about proteins and fats. “Factory” meat has the wrong fatty acids, contains obesity-causing hormones, and usually has mycotoxins (super nasty biotoxins formed by mold in cattle food and meat processing). Grass-fed protein is in a league of its own and critical in the Bulletproof Diet. Again, it goes back to quality in is quality out. If a steer is fed crap and indigestible food not beneficial to it, how can you as a consumer of the product benefit? You can’t and won’t. There is no magical transformation from stale gummy bears (yes, that is part of the feedlot diet given) into vitamins, minerals, and healthy fats. Ruminant animals are meant to eat grass — not grains, stale bread, cereal, GMO corn, chicken feathers, or city garbage. I am not making any of this up. I wish I was. BB: Let’s talk about why and how you even got to the place of understanding the importance of grass-fed. Can you give a little background there? DA: Absolutely. Twenty years ago I was 300 pounds, arthritis in my knees, mold toxicity, brain fog, and so many other health issues…I’ll spare you the laundry list. Obviously, it was pretty critical for me to get my life together. Being unhealthy doesn’t have just the physical implications. The mental and emotional depletion is very real as well. The depression I sank into drew me deeper into reclusiveness and anger. Everything I was doing to try to combat my obesity and unhealthiness was just not working. There was no amount of weight training, calorie counting, radical calorie cuts, pharmaceutical meds, or the like that helped me. I was at my wit’s end. What happened next changed my life and sparked the fire that has grown into Bulletproof 360 today. I decided to attack the problems I was having with my health in the same way I would as a computer programmer and hacker. That was what I call my “Day One.” The day I decided to say, “Ok, I’m done with being done and I’m taking my life into my hands.” Taking control of what you can control and making effective change is biohacking 101. BB: So when did you make the change in your diet to grass-fed and did you see or feel a measurable result in your life? DA: I didn’t move into grass-fed and true organic proteins and dairy until I had an experience that literally changed my life far beyond just the health benefits. I was well into my journey from my Day One and found myself in Tibet on arguably the holiest mountain in the world. I was physically fried and struggling with the altitude and the strain 18,000 feet places on your body. One of the local women I was with gave me a cup of warm yak butter. The immediate effect was incredible and heightened at that kind of altitude. So as an engineer my gears began to turn and the reverse engineering of that singular effect on my body consumed me. Long story short, what we now know as Bulletproof Coffee was born and the continued study of grass-fed proteins is a staple in the Bulletproof Diet and my lifestyle. I just will not budge on this — it is a hardline in my life. BB: That is one incredible testimonial about locally raised animal proteins for sure. With that said, we will close with this. What is one piece of advice to anyone looking into grass-fed or seeking an experience like the one you had in Tibet leading to the hardline on grass-fed proteins? DA: As I travel all over the country speaking to groups and with the world shrinking into the palm of our hand with social media, the one thing I commonly hear is that eating cleanly and sustainably is just too expensive or not easily accessible. Well, you can’t argue with the cost. It is more expensive; however, that should not be a barrier to elevating you and your family’s health. We make provisions for the cost of living every day. I think creating a budget that allows for these provisions is necessary if we are talking about taking our health into our hands. We now have the knowledge base to make these educated decisions. So why would you not create exponential positive health change in you and your family? As far as the accessibility argument, well, that just doesn’t exist when you have verified and ethical companies like ButcherBox disrupting the status quo that our communities have been force fed (pun intended). BB: Thanks so much for the discussion, Dave. It’s been a treat to get your insights and learn more about your own journey. DA: The pleasure is all mine, especially when I can call attention to the game-changing positive impact that like-minded industry leaders can make. 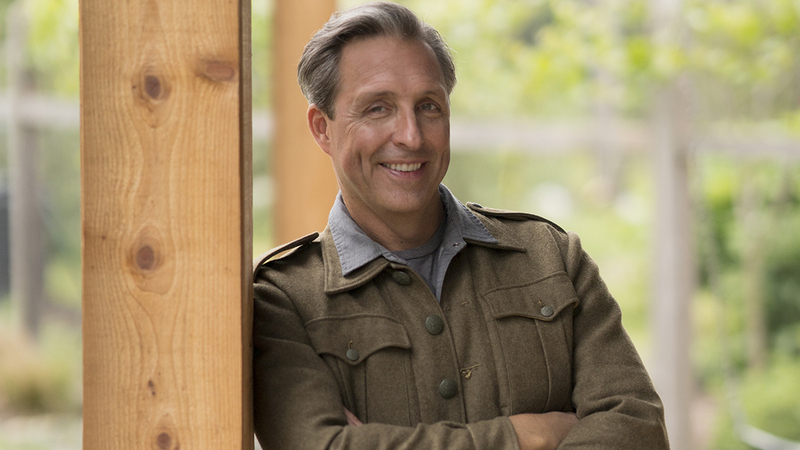 For more information on Bulletproof 360, its founder and CEO, Dave Asprey and his new book, “Game Changers” – head to the website www.aspreygamechangers.com or follow Dave on social media for news, announcements, and the latest podcast episodes below.